Hi Liz. 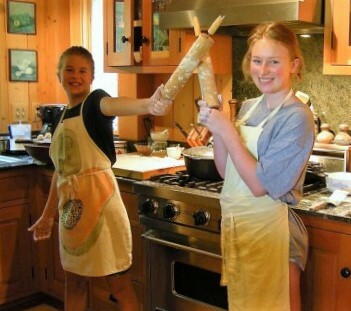 Look how Miss Thirteen has grown! Thanks Morrie, and yes they’re blocked. I knit them a little tight, and flat-knitted which makes the fabric a little rumply… because I still have inconsistent purl tension. Purling…Then this must be a sweater you knit flat. 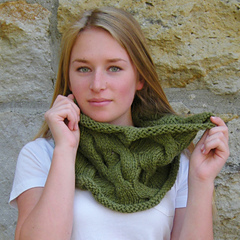 Reveal the fiber you knit with puleeeze? Xxoo they look so cozy. 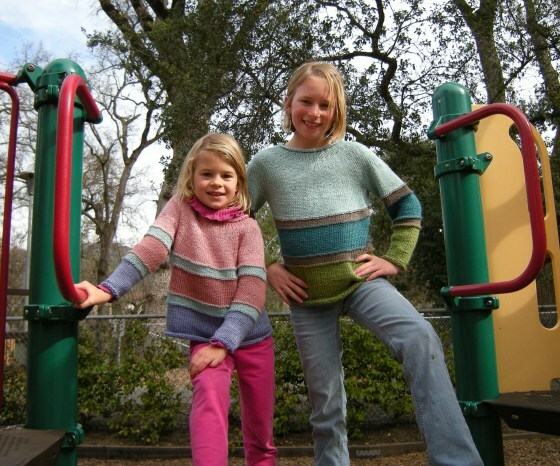 Morrie, the Calidez Pullover pattern has a steek option, it is knit in-the-round. But as that is not good for linen, cotton, unwoolly fibers , you know, I just had to start practicing my flat-knitting ,and come up with a flat-knitted cardigan version of Calidez (I know, I know, you will not flat-knit for man nor beast…lol)… but I wanted to make this pattern for it really needed to be made. 🙂 I’m happy now! YAY… done & dusted! I congratulate you on your success. I will say that there is no fiber that you cannot steek. I made a lovely linen/cotton cardigan for the grandaughter. ps. Oh! Hey!!! I have been listening to archives of Knitting Pipeline! I’ve followed Knitting Pipeline for a long time. Then there was a lot of retreat chatter so stopped. But could use a catch up for sure! As usual, gorgeous girls in gorgeous knitwear! Thank you Petra. Yes, it was getting hot by the time we got there at the castle around 10:15, but they loved their wool & alpaca cardigans so much they didn’t mind. Thank you! I request very little and feel at times I am witness to what decisions they are making. I think you are right, the look of “jenjoyce design” is definitely becoming influenced by their sense of taste, so like mine, straying very little off of classic. We unanimously prefer natural or at least played-down colors in the knitwear against the castle as backdrop which is so rich with natural tones.